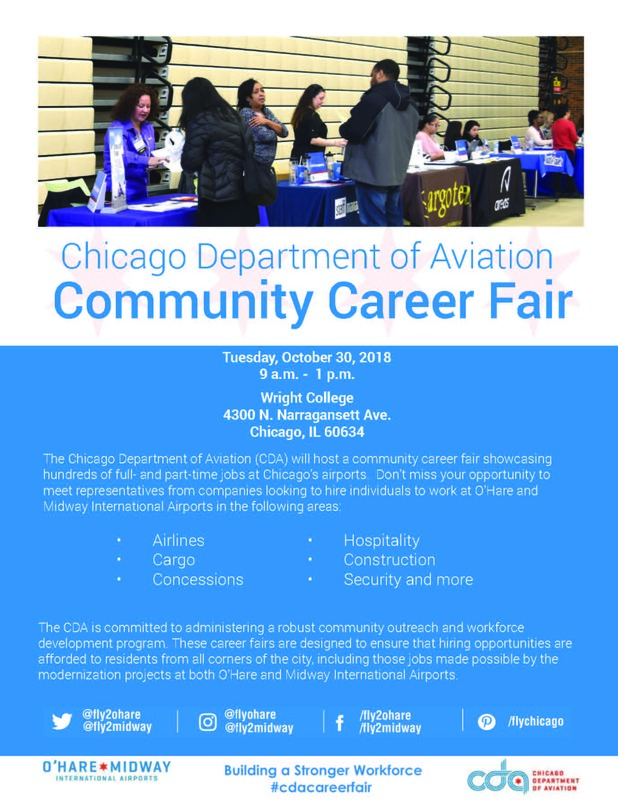 The Chicago Department of Aviation (CDA) will host a community career fair showcasing hundreds of full- and part-time jobs at Chicago’s airports on Tuesday, October 30 from 9 a.m. - 1 p.m.
WHAT: As part of the bi-annual National Prescription Drug Take Back Day, the MWRD and U.S. DEA encourage the public to bring their drugs to special MWRD collection boxes. In conjunction with the U.S. Drug Enforcement Administration (DEA) Chicago Field Division, the MWRD is accepting unused or expired medication for safe disposal on Saturday, October 27, from 10 a.m. to 2 p.m. at three water reclamation plants. 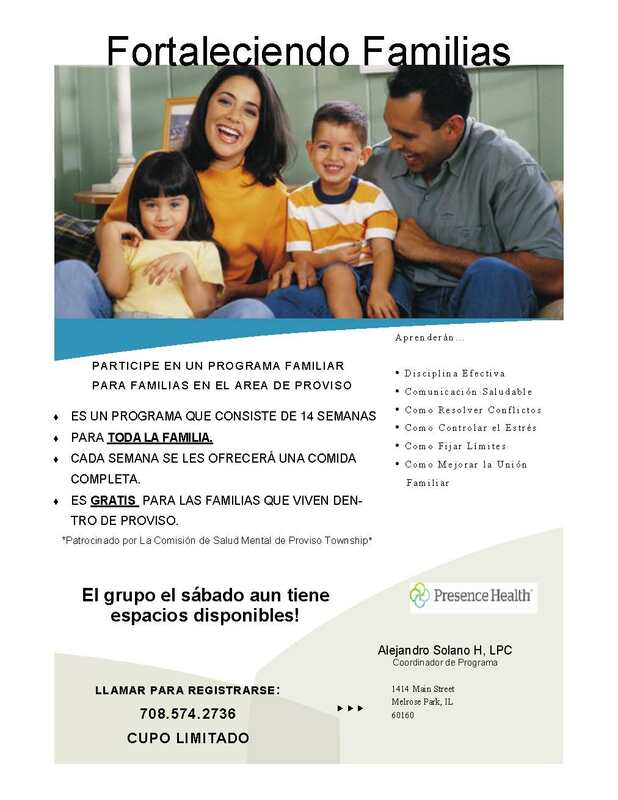 The event aims to provide a safe, convenient and responsible means for disposing of prescription drugs, while also educating the general public about the potential for abuse of medications and harm to the environment. 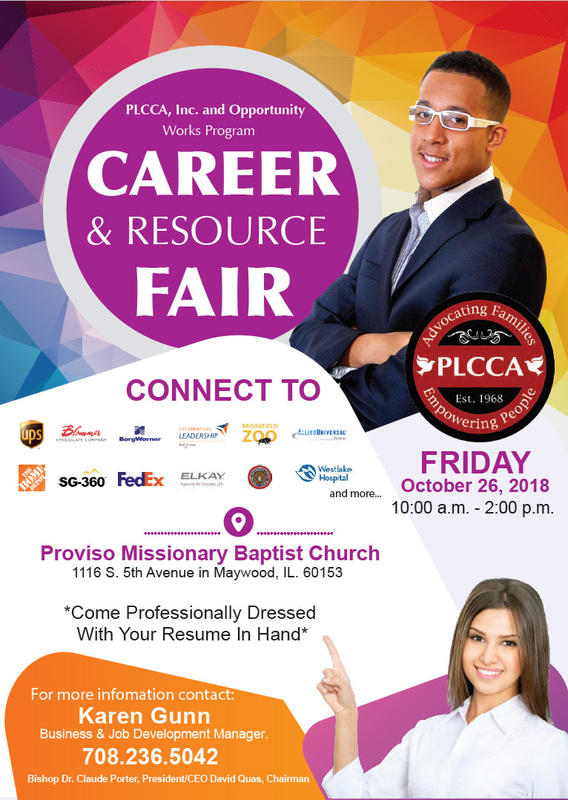 The Proviso Leyden Council for Community Action and Opportunity works are holding a Career and Resource Fair on Friday, October 26 from 10:00 a.m. to 2:00 p.m. at the Proviso Missionary Baptist Church at 1116 S. 5th Ave. Maywood, IL. 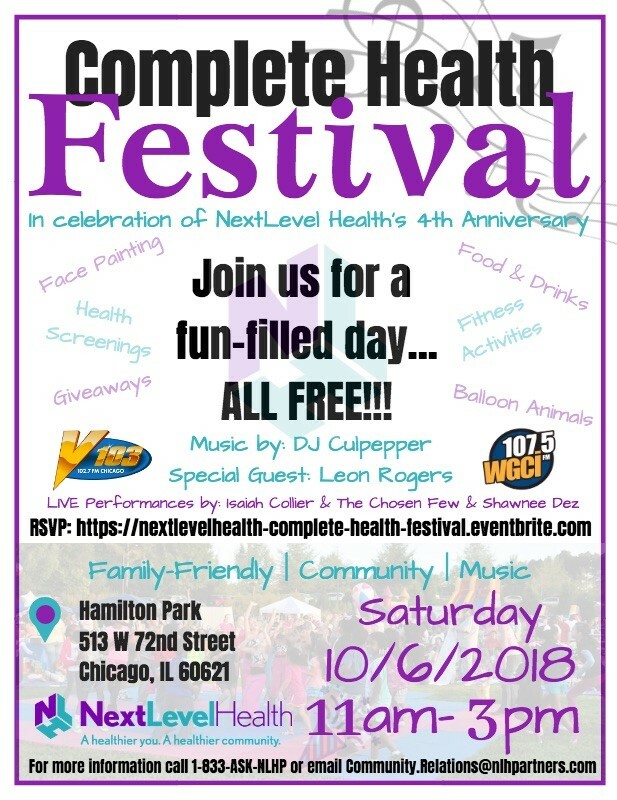 NextLevel Health will host a Complete Health Festival on October 6th from 11:00 a.m.-3:00 p.m. at Hamilton Park, 512 West 72nd Street. 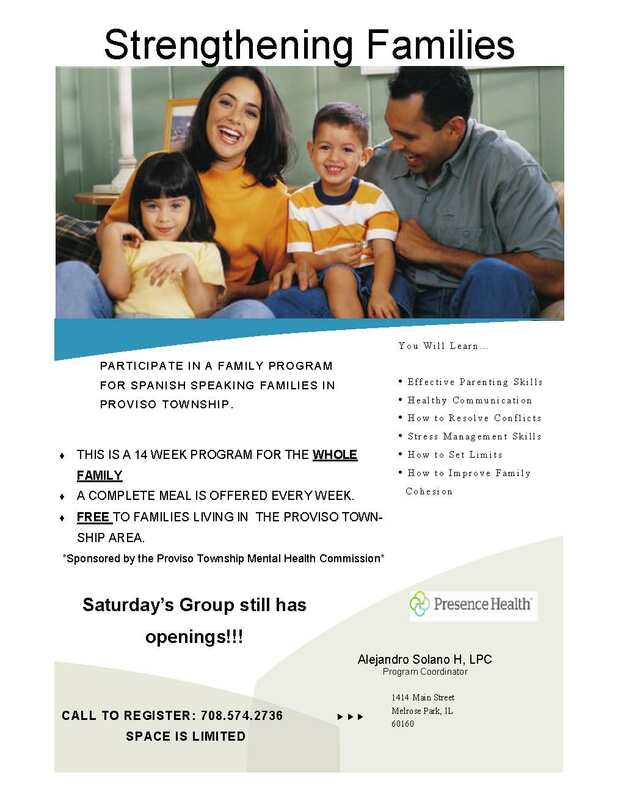 The Complete Health Festival is a celebration to raise awareness about complete health and highlight resources that can help people be completely healthy. There will be music, food, giveaways and much more.